As we commemorate the milestone anniversary of 9/11 everyone has a story to tell. Where they were when it happened as our entire country went into shock... For the weeks to follow we were united in our grief. Wouldn’t it be fab if we actually learned something from that & stopped the hate... We got a press release from GLAAD reaching out to the media to remind us to honor the diversity of people & communities affected by the attacks including those in our LGBT community. 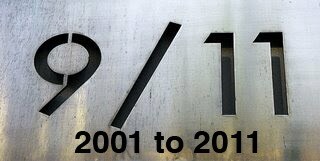 Many lives were lost & many survivors & loved ones continue to cope with the losses suffered on this day. In 2002 I produced & directed this music video tribute dedicated to those who perished on September 11th 2001. Michael Feinstein performs Leonard Bernstein & Stephen Sondheim's "Somewhere" from "West Side Story" with Keith Lockhart & the Boston Pops. In memory of our LGBT community who perished on 9/11 this 2002 9/11 tribute music video features Michael Feinstein performing gay icons Leonard Bernstein & Stephen Sondheim's "Somewhere" from "West Side Story" with Keith Lockhart & the Boston Pops. LGBT people like their fellow Americans, suffered immensely as a result of the tragic events that occurred on September 11, 2001. Keith Bradkowski lost his partner of 11 years, Jeff Collman. Jeff was a flight attendant on Flight 11. Because Keith and Jeff’s domestic partnership was not recognized by the federal government, Keith struggled to receive benefits from the federal fund that provided compensation to spouses. Mark Bingham, an openly gay rugby player, joined fellow passengers on Flight 93 in a revolt against the plane’s hijackers. Mark’s heroic actions saved countless lives that day.